. . . The latest is Strategic Vision’s 20th-annual Total Quality Awards, in which the organization names Fiat Chrysler Automobiles (FCA), Volkswagen, and General Motors named as the industry’s top brands in terms of vehicle quality and customer experience. 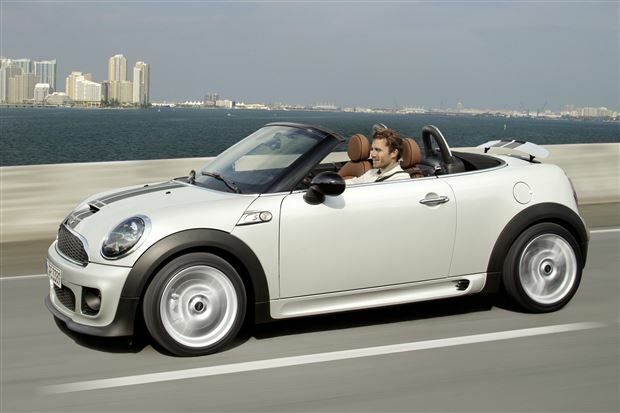 The Mini Cooper Roadster is the top-ranked individual model with 935 points, its title of best standard convertible one of six category wins for BMW, whose other winners are the i3 (best near-luxury alternative powertrain car), BMW 3 Series Touring (Luxury multi-function car), Mini Cooper Countryman (tied for specialty coupe with the Dodge Challenger, which leads us to think they meant the Paceman), BMW X4 (near-luxury utility), and BMW X5 for luxury crossover. . . . .